In a post-capitalistic world that seems very specifically and violently designed to rip off the poor for the benefit of the rich, spending money is complicated. But at least, until recently, you could live without fear that some multibillion-dollar Silicon Valley giant would buy up your banking data in order to serve you more effective ads. 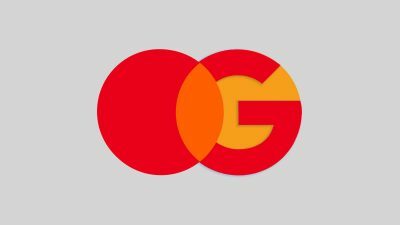 Based on new details about an apparent arrangement between Google and Mastercard, those days are over. Bloomberg reports that, after four years of negotiations, Google purchases a trove of credit card transaction data from Mastercard, allegedly for “millions of dollars.” Google then reportedly used that data to provide select advertisers with a tool called “store sales measurement” that the company quietly announced in a blog post last year, though it failed to mention the inclusion of Mastercard data in the workflow. The tool can track how online ads lead to real-world purchases, and that extra data is designed to make Google’s ad products more appealing to advertisers. (Read: everybody makes more money this way.) The public was not informed of the reported Mastercard deal, though advertisers have had access to the transaction data for at least a year, according to Bloomberg. This is a hell of a bombshell, when you think about it. Thanks in part to heavy government regulation, your credit card and banking data has long been private. If you wanted to spend $98 at Sephora on a Tuesday afternoon, that transaction was between you, your bank, and Sephora. It now appears that Google has found a way to weasel its way into the data pipeline that connects consumers and their purchases. If you clicked on a Sephora ad while logged in to Google in the past year and then bought stuff at Sephora with a Mastercard in the past year, there’s a chance Google knows about that, at least on some level, and uses that data help its advertisers stuff their coffers. But when you consider everything else that Google knows about you, the proposition becomes more Orwellian. Google told Gizmodo in a statement, also shared with Bloomberg, that it encrypts and anonymizes the credit card transaction data that it’s using with the new ad tool. There’s no getting around the fact that Google becomes a more powerful, all-seeing ad engine when it can see specific details about people’s spending habits, even if they’re anonymized and used in aggregate, as Google says the data it gets from Mastercard is. This future—one where your email, your search history, your social connections, and now, your spending habits—is one that we should really be scared of, say privacy advocates. Clarification: Google tells Gizmodo that the financial data it uses is to inform advertisers about the effectiveness of their advertising and that it does not use this data in ad targeting. We’ve updated the story with this new information and clarified this distinction. Adam Clark Estes is Senior editor at Gizmodo.